A total of 986 entries showed up for Event #26: $1,000 Pot-Limit Omaha at the Rio All-Suite Hotel and Casino. 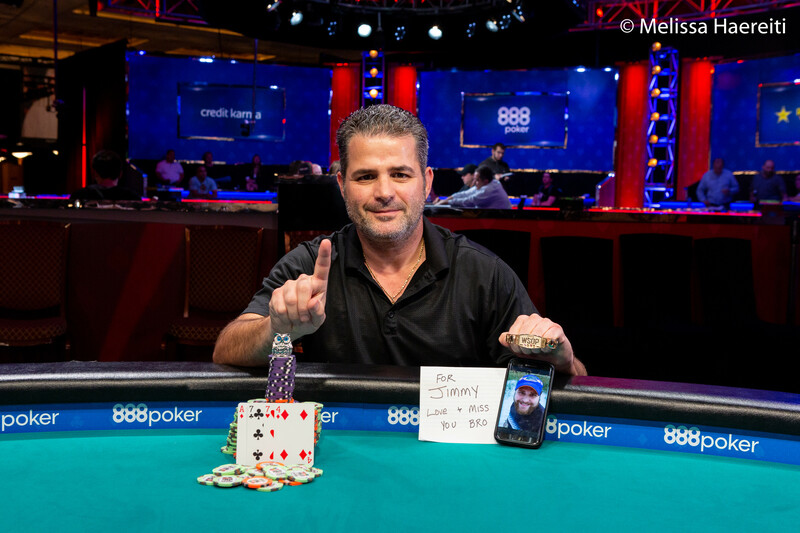 When the final curtain came down it was Filippos Stavrakis taking home the prestigious World Series of Poker bracelet and an astounding $169,842 first place cash prize. 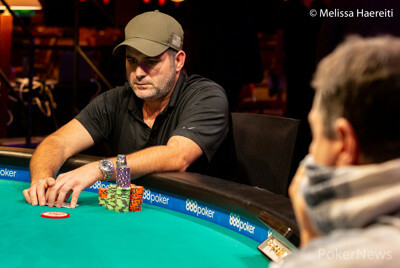 Devrakis bested Jordan Siegel heads-up, Brazilian star Felipe Ramos came in third. Stavrakis came into the final day of the tournament as the chipleader with 14 players remaining. He was the shortest stack at one point during four-handed play, but rallied back to win it all. "My wife is very superstitious. She always thinks she brings bad luck and she is actually quite the opposite for me," Stavrakis said as he looked at her and smiled. "For Jimmy. Love & miss you bro." "A couple years ago we lost my brother prematurely and I always said that if I was fortunate enough to win a bracelet I would dedicate it to him. It felt like he was with me all day," Stavrakis said after claiming the gold. Just a few moments after the 22nd level started it was Arthur Morris that would be the official final table bubble. Morris ended up all in before the flop and was called by Georgios Karavokyris who would turn a flush to eliminate Morris in tenth place. The 22nd level also had another bust out in Robert Cowen who found himself all in versus Stavrakis. Cowen was leading after the flop with two pair but Stavrakis would complete his flush on the turn. 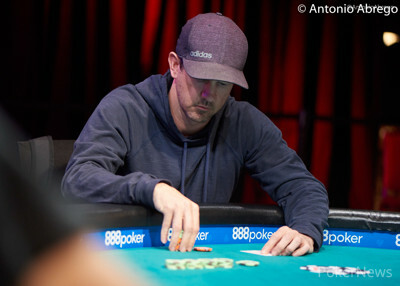 Cowen could not fill up on the river and was eliminated in ninth place. It was the Greek native Karavokyris who would be next to hit the rail as he ran into Siegel's aces. The flop came down with a pair of jacks for Karavokyris, but the rest of the board ran in favor of Siegel and Karavokyris was eliminated in 8th place. Thayer Rasmussen found himself all in before any cards were dealt in the big blind after losing a hand to Clinton Monfort that left him with less than a small blind. Rasmussen would be eliminated in 7th to Kleins flopped set of threes. Pascal Damois started the day third in chips and was quiet for most of it until he got it all in against Stavrakis. He was ahead with his aces but Stavrakis flopped two pair and held on to eliminate Damois in sixth. The fifth-place finisher was Peter Klein who grinded out the whole day and patiently picked good spots to move his chips around. Klein moved all in on a queen high board with kings and Siegel made the call with his flopped set of queens to eliminate Klein. After a grueling three hours of four-handed play, it was Monfort that was the first to succumb and head for payout desk. After a raise from Ramos, Monfort moved all in with his kings. Ramos called and would end up with a flush by the time all the cards hit the felt, eliminating Monfort in fourth. Well-known Brazilian Ramos had a whole cheering section railing him for the final table, who even got moved further away from the table for being too boisterous. However, when Ramos called all in for his tournament life against Stavrakis on the river, they all dropped silent as Stavrakis tabled a straight. Ramos had the smaller straight and was eliminated by Stavrakis. 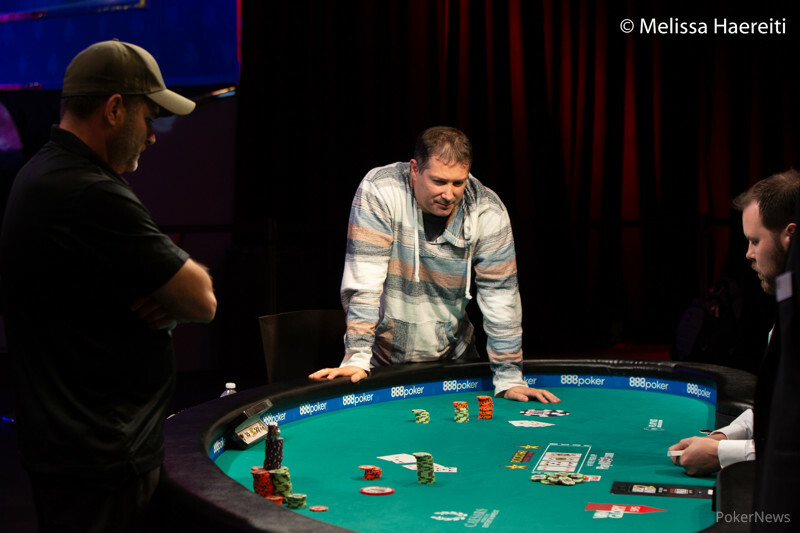 It was close to the end of level 29 when Siegel found himself all in with a flush draw and straight draw. Stavrakis called with a set and higher straight draw, the board ran out with no help for Siegel. He finished second place for a six-figure payday and congratulated the winner on his way to the payout desk. The $1,000 Pot-Limit Omaha event is now in the books but Omaha aficionados don't have to wait long as Event #35: Mixed $1,500 Pot-Limit Omaha is coming up on June 16th. PokerNews will be there again to cover the next Omaha event from start to finish. Filippos Stavrakis raised to 160,000 from the button and big blind Jordan Siegel called. 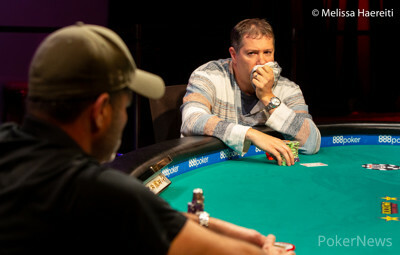 The flop was and Siegel chose to lead out with a bet of 320,000. Stavrakis bet pot to put Siegel all-in and Siegel called the all-in bet. Stavrakis was miles ahead with middle set and the nut flush draw, leaving Siegel drawing to just one of the non-diamond fives. The board ran out and with that runout, Stavrakis is the champion of the tournament. 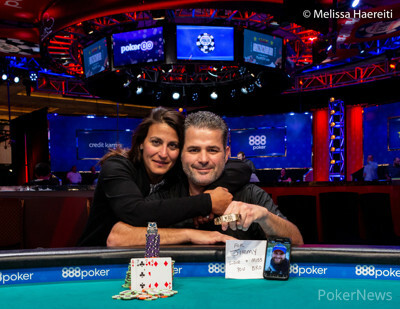 Siegel ends as the runner-up and received a payday of $104,924 for his accomplishment. Filippos Stravrakis has won his first gold WSOP bracelet and a career-high cash of $169,842. The end of day recap and winner's photo will follow. Filippos Stavrakis extended his lead by taking down the first big pot of the heads-up battle. Stavrakis limped his small blind and Jordan Siegel checked his option. The flop came down and Siegel check-called a bet of 125,000. On the turn Siegel check-called another bet, but this time the bet was 325,000. The river was the and Siegel checked a final time, before seeing Stavrakis put in a bet of 700,000. Siegel folded within a couple seconds. After five hands of limp-check heads-up play, it is Filippos Stavrakis that has increased. Players are playing very carefully as the next pay jump is around $65,000, plus the small matter of who gets a gold WSOP bracelet will also be decided. Filippos Stavrakis raised to 200,000 from the button and Felipe Ramos called. The flop was and both players checked to see the turn appear. Ramos checked and Stavrakis bet 300,000. Ramos counted out the chips for a call and pushed them forward. The river was the and Ramos checked again. This time Stavrakia bet out for effectively 400,000, putting Ramos all-in. Ramos took a minute to figure out what to do and made the call. 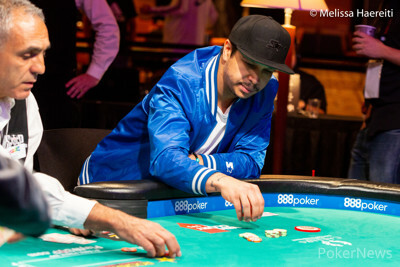 Ramos got eliminated in 3rd place, cashing for $73,989 but missing out on his first WSOP gold bracelet. Felipe Ramos opened up to 280,000 from the button and Clinton Monfort then moved all in for around 440,000. Ramos made the call and Monfort would be at risk, players then showed their hands. The flop came down and Ramos flopped a set with spades. Monfort would need to hit and the turn came the , changing nothing. The river was the and Ramos dodged Monfort's full house outs. He took down the pot and eliminated Monfort in the process. It has been over three hours of play without an elimination. The players are now taking another 15-minute break. When they come back the blinds will be 40,000/80,000. Felipe Ramos opened to 210,000 from the cutoff and Jordan Siegel moved all in from the big blind. Ramos called and both player flipped over their hands. The flop came down and Ramos picked up a flush draw. The turn was the and Siegel would need to dodge a diamond for a split. The river was the and the players chopped the pot.